We've got a team of bloggers, designers and directors that run this site 24/7. This means that if you e-mail into us below, we'll likely get back to you within 12 hours or so (I'd say; 24hrs max!). Use the form anytime you wish for any questions, queries or guidance for the live football streaming, odds and scores listed, as well as any comments or suggestions you might have regarding our free to use website. Address: LiveFootballStream, SCO Football Media Network, Paisley Road, Glasgow - UK. 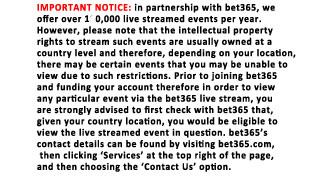 © Copyright Live Football Stream.